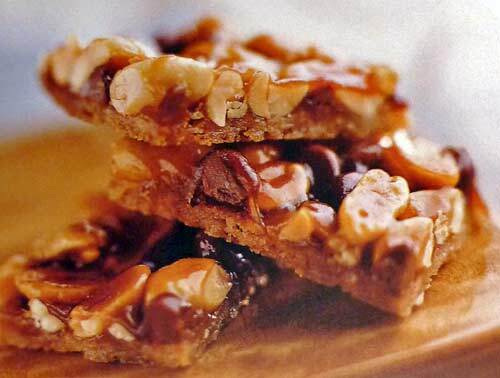 We're sure you'll love the contrast between salty and sweet in these easy-to-make peanut brittle bars. The biggest surprise is the nut-like flavor the whole wheat flour gives to the crust. 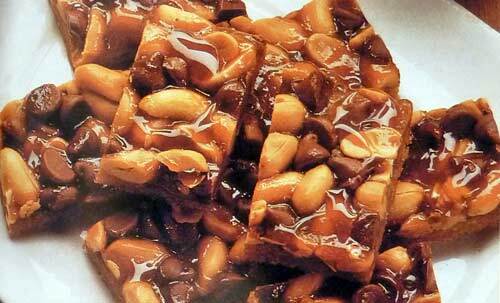 Peanut brittle stirs memories of some favorite confectionary treats like almond roca, nougat, praline and toffee. While growing up in Connecticut, I remember traditional golden peanut brittle was a favorite treat of grandmother. I don't exactly recall the first time I tried it, but it's definitely one of those tastes that takes me back in time. Peanut brittle is hard, buttery and sweet with a satisfying crunch. If you've never eaten it, you're definitely missing out. 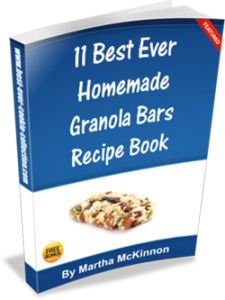 But fear not because we have some easy recipes to share that incorporates the tastes and textures of peanut brittle into easy to make bars or squares. Grease a 15x10-inch baking pan. In a large bowl, combine all base ingredients except butter and mix well. Using pastry blender or fork, cut in butter until crumbly. Bake for 8 to 14 minutes or until golden brown. 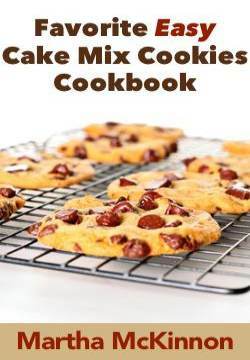 Sprinkle peanuts and chocolate chips over warm base. In a small bowl, combine caramel topping and 3 tablespoons flour and blend well. Drizzle over chocolate chips and peanuts. Return pan to oven and bake an additional 12 to 18 minutes or until topping is set and golden brown. Line a 15x10-inch baking pan with aluminum foil extending the foil over the edges of pan. Grease the foil and set aside. In a medium bowl, stir together 2 cups flour and brown sugar. Using pastry blender, or fork, cut in butter until mixture resembles course crumbs. Press mixture evenly into bottom of prepared baking pan. Bake about 12 minutes or until golden brown. Sprinkle cocktail peanuts and chocolate chips over warm crust. In a small bowl, stir together caramel topping and 3 tablespoons all-purpose flour. 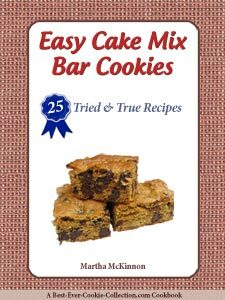 Drizzle over top of chocolate chips and peanuts. Return pan to oven and bake an additional 12 to 15 minutes or until caramel is bubbly. Use the foil to lift the baked bars from the pan. Carefully peel foil from the sides of bars. If you prefer cookies, you may want to try this easy recipe for Peanut Brittle Cookies.